Events are more relevant than ever. If you want to meet the most prospective customers and current customers the best place to connect with them all in one place is at a trade event. I’m not just talking trade shows but any face-to-face event. I know, I always preach about the power of relationships but it’s hard for that connection to happen if you don’t meet and/or spend time with the contact one-on-one. And, events allow you to do just that! I’m talking cocktail parties, roundtables, conferences you name it because when we conduct business face-to-face we inevitably learn too. We learn about the company’s goals, challenges and strategy. We also learn what is intrinsically important to them - their values, mission and guiding principles. And, we learn about the person who represents the company. In addition, we learn what’s happening in the market. For trade shows, it takes that notion up a notch and there is “show and tell” aspect where you able to see, touch and hear first-hand about products and services that exhibitors are showcasing. Recently, I attended the International Home & Housewares Show, March 12-15, 2018 at McCormick Place in Chicago, IL. When you walk the show it feels energetic and young even though it's 80 years old. No really, attendees are excited about what they will see and learn; and, exhibitors are excited to share their products and services. Plus, you get to see old friends and make new ones. A trade event is a reunion you want to attend! Color leads the way: the Housewares industry has long been the standard bearer of color trends and I’ll be watching for the new Pantone colors to appear in other categories like outdoor living. Our homes keep getting smarter: Smart Home has been a trend that continues to grow; and, manufacturers regardless of the brand are focused on their products working together and making the consumers home life even more convenient. (If you’re old enough...think the Jetson’s). Innovative new products continue to be lifeblood of all categories; and, Housewares continue to be a leading category in solving problems in our homes. Take The Negg an egg peeler developed by Bonnie Tyler. It is definitely a clever gadget to have in the kitchen especially with Easter coming up! Interested? You can read about it here at www.thegrommet.com/the-negg. 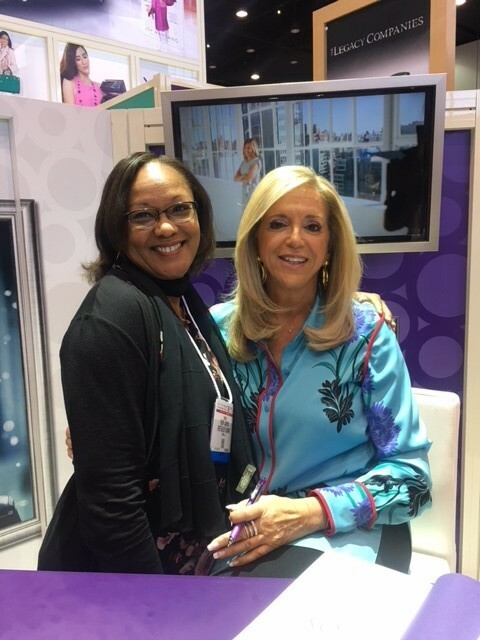 I learned some things and met new people including Joy Mangano! Whatever the product category you work /play in make it a point to attend your big event. My next trip is another oldie but goodie - the National Hardware Show May 8-10 at the Las Vegas Convention Center in Las Vegas. Where are you going next?